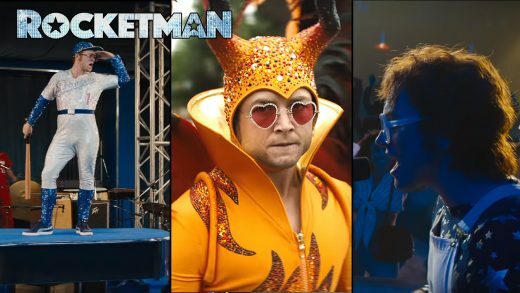 Watch the first Rocketman trailer. Elton John biopic stars Taron Egerton, Jamie Bell and Bryce Dallas Howard. Illumination Entertainment and Universal Pictures have officially announced a sequel to Sing. Ryan Gosling and Emma Stone reunite in La La Land movie trailer. Red Band Trailer and Poster for Straight Outta Compton! Watch the trailer for the N.W.A. biopic with an introduction from Dr. Dre and Ice Cube. Aubrey Peeples, Ryan Guzman and Molly Ringwald star in the live-action musical adventure Jem and the Holograms.